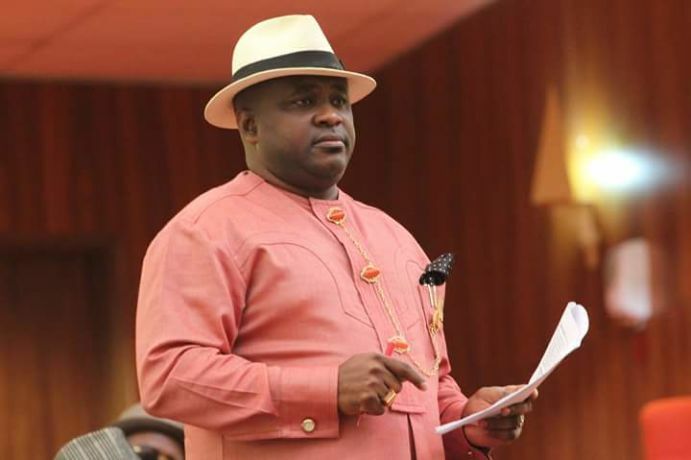 The Economic and Financial Crimes Commission (EFCC) has arrested the Senator representing Akwa Ibom North-East senatorial district, Senator Bassey Akpan. According to an EFCC report, Akpan allegedly received vehicles worth N303m from oil magnate, Babajide Omokore, who is under trial for alleged fraud. The vehicles Akpan allegedly received from Omokore ranged from Range Rover luxury cars to campaign buses and trucks that were bought with the proceeds of fraud. While serving as a Commissioner for Finance under the government of Senator Godswill Akpabio, Akpan allegedly gave contracts to Omokore worth billions of naira and the vehicles were believed to be kickbacks. He gave the contracts as the Chairman of the Inter-ministerial Direct Labour Coordinating Committee, whose job was to ensure that the government projects were completed using direct labour to save some money for the state. 0 Response to "EFCC Arrests Akwa-Ibom Senator Bassey Akpan"